FIXYOURTHINKING.COM / Need a brain? Borrow mine! : Want A Cool $4.99 App For Your iPhone or iPod Touch For Free? Want A Cool $4.99 App For Your iPhone or iPod Touch For Free? 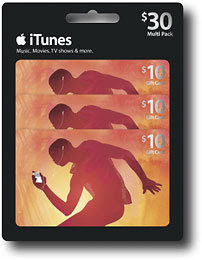 BestBuy.com is running a special this week ... buy three $10 iTunes Gift Cards for $25 with free shipping.